It all starts here. 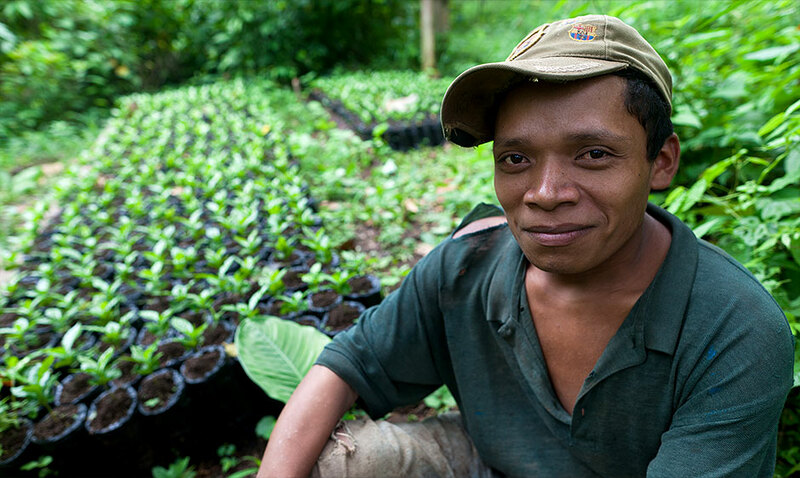 Coffee farmer and seedlings at an Agros International village in Nicaragua. OK, we just validated a massive KoHi Labs app update and we can walk away from the surreal logic of computer code for the next few days! To help get our brains back to “reality”, I want to chat about one of the inspirations for KoHi Labs: social awareness. Huh? Coffee? Social Awareness? Yes. And now we’re jumping into this blog post’s title. Anyone familiar with large scale manufacturing or retailing understands the critical aspect of “Supply Chain Management (SCM)”. In fact, the secret sauce to many successful Fortune 500s is their SCM capabilities and controls. But seriously, what’s the social value of massive SCM capabilities? The shareholder value is obvious…but we’re talking social value here. The anecdotal evidence points to social costs…not gains. I’d probably argue that “Supply Chain” is an appropriate double entendre. Do you think that the sales clerk at your local “big-box” store can tell you where the clothes, gadgets, or goods originated…or how they got there…or who made them? They might know who drove the fork-lift that stacked the goods on the shelf. And that’s about as far as their knowledge of the supply chain goes. It’s a massively efficient process and certainly generates value at a macro level. But is it socially beautiful? Have you ever heard a “big-box” retailer brag about where their products are made and how they extract efficiencies from labor in the “supply chain”? There is a reason why we don’t hear about that often. So…what’s this have to do with coffee? Think flow! Sure, that’s not a massive supply chain. Sure, it’s not massively complicated and stunning. But, it sure feels nice to know where your coffee came from. It feels nice to know that people along the “supply flow” have real names and real stories. The feeling of making something wonderful flows from beginning to end. In an era where everything around us has mysterious origins…the local coffee shop just might be the place to restore a sense of global humanity. We’re all in this crazy world together. And when we take care of our “supply flow”, it tastes awesome! Alright, time to put a lid on this brew. The globalization of the marketplace is stunning and amazing. Frankly, we should demand that it have macro-social benefits too. Globalization can bring people together in socially aware AND financially productive ways. The growing local coffee scene is the beautiful free-market hub which locally connects us to a larger world. 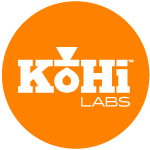 At KoHi Labs, we’re really excited to be a part of this intimate yet global culture and global economy. And hopefully, we can be a part of your global…err local “supply flow” too!